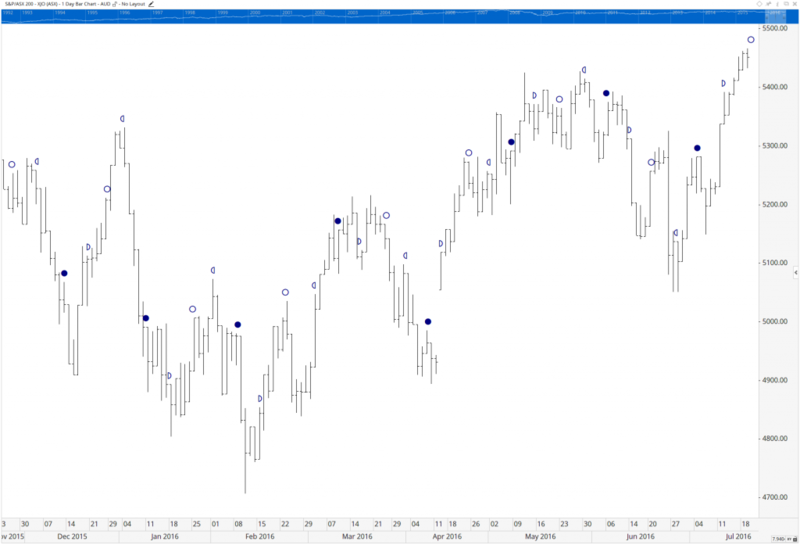 To apply the Moon Phases tool to your chart, select the Tools menu located at the top of the Market Analyst screen. Left click on the chart area, the Moon Phases tool will display the Moon cycles. 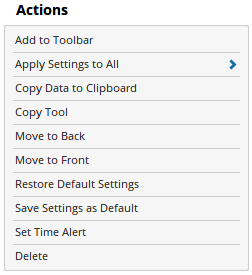 Apply Settings to All: When multiple Moon Phases tools have been applied to a chart, page or workbook, this action can be used to apply the settings of the one selected to other instances of the tool. 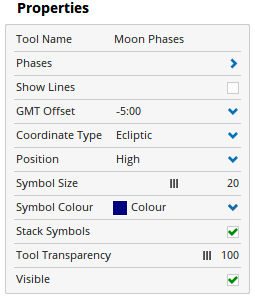 This is a great time saver if an adjustment is made to the tool – such as hiding or adding levels- as this allows all the other Moon Phases tools in the chart, page or entire workbook to be updated instantly. Restore Default Settings: Click this action if you have adjusted the default settings of the Moon Phases, and wish to return to the standard properties originally installed with Market Analyst 7. Line Width: Allows you to adjust the width of the Phase Lines. Moving the slider bar to the right increases the thickness of the line. Line Colour: Allows you to adjust the colour of the Phase Lines. Transparency: Use this slider bar to adjust the transparency of the Phase Lines. Moving the slider to the left will increase the transparency.